1) Cut the liver into thin slices and place in a bowl to marinate with white wine, vinegar, minced garlic, bay leaf, salt and pepper to taste. Let it marinate for about 3-4 hours. 2) Boil the potatoes in a saucepan with water with their skin. Once they are done, remove the skin and slice them thinly. 3) In a frying pan, add the slices of liver and place it on medium heat. Cook them in the butter until they are well browned. 3) Pour the marinade into the pan and bring it to a boil. 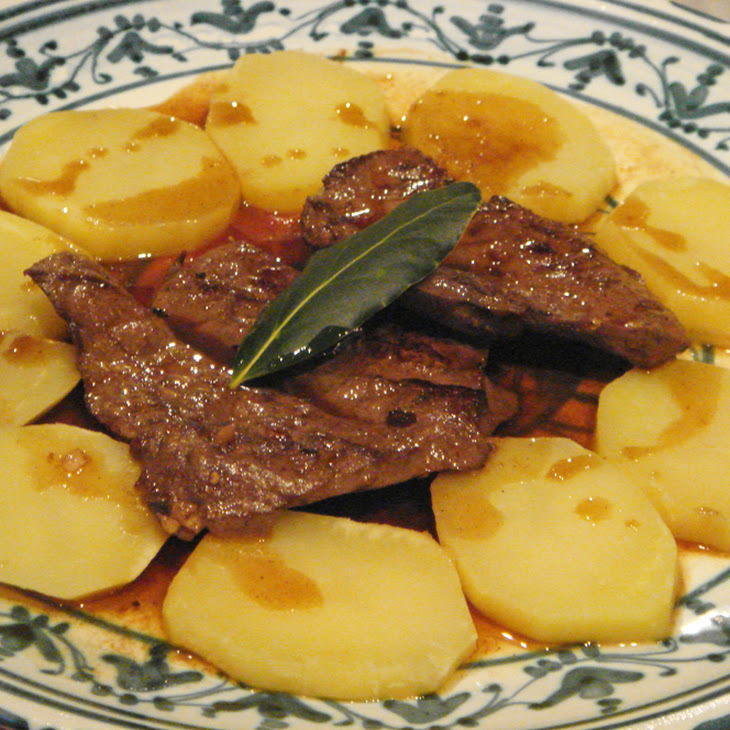 4) Immediately serve on a plate and accompany with the sliced potatoes. 5) Sprinkle with chopped parsley and serve while hot.